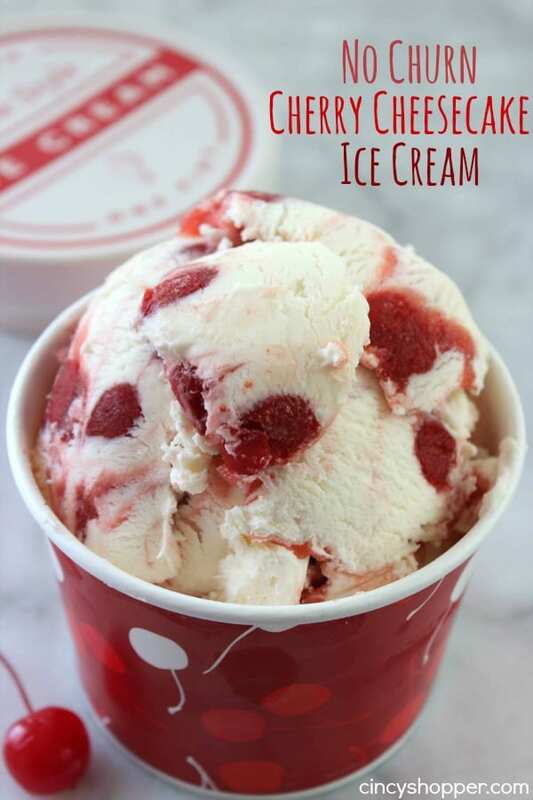 This homemade No Churn Cherry Cheesecake Ice Cream Recipe is over the top delish, super simple to make and a perfect dessert. 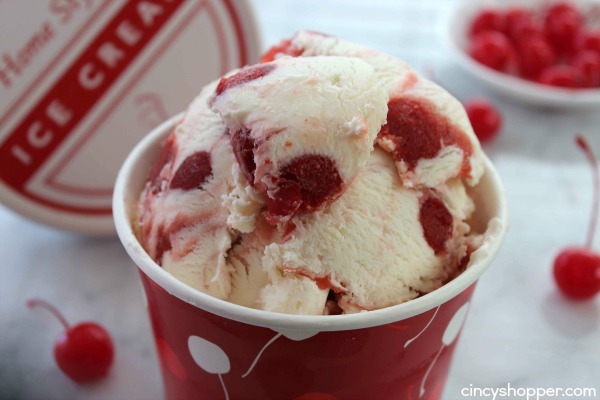 With Valentine’s Day not to far off I wanted to surprise my daughter with her favorite cheesecake in ice cream form. Last summer we made a No Churn Blueberry Cheesecake Ice Cream that was so tasty. 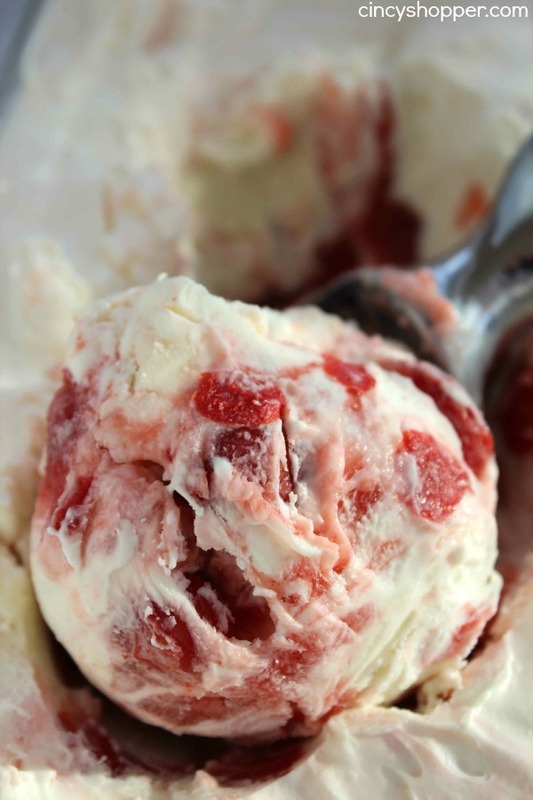 For months I have had Cierra begging me to make the homemade cheesecake ice cream with cherries. 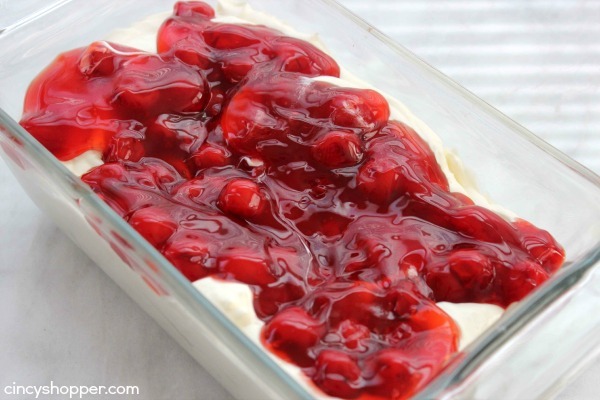 I will admit this week I have been craving cherry cheesecake like I never have before. I have made a couple cheesecake treats topped with cherries. Convincing me to whip up some homemade cheesecake ice cream was not very difficult, ha ha! I think I have probably gained 10 pounds this week. I really like this recipe. No need to drag out the ice cream maker and wait for hours and hours for that bad boy to freeze. 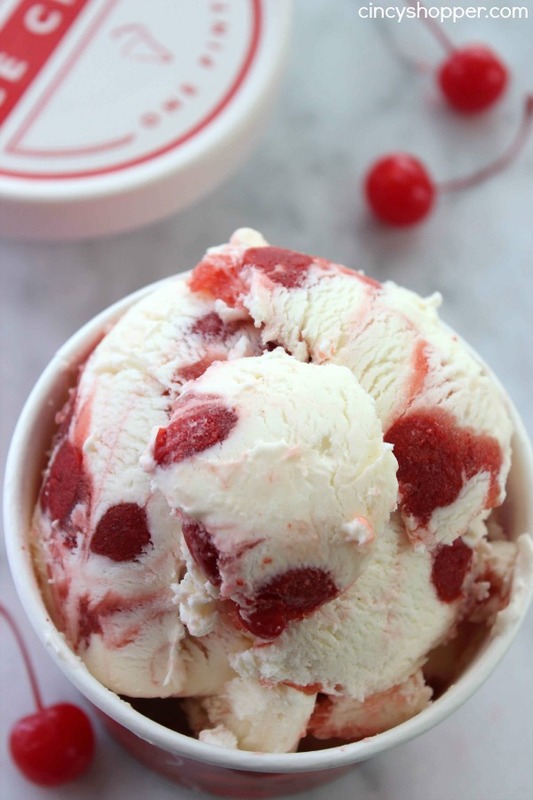 I can whip this Cheesecake Ice Cream up and toss it in the freezer with no additional work. LOVE IT! I plan to make this one again later in the week for the hubby to enjoy for dessert on Valentine’s Day. It will be perfect! The ingredients needed for this No Churn Cheery Cheesecake Ice Cream are quite inexpensive. 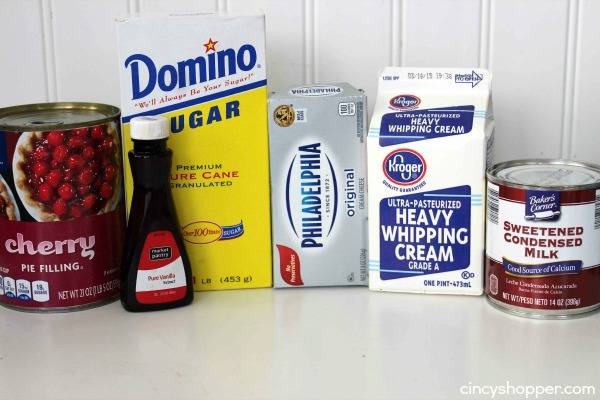 Just grab some heavy cream, cherry pie topping, sweetened condensed milk, cream cheese, sugar and vanilla. Super simple and so much better than store bought. In a large bowl, beat cream cheese until creamy and smooth. Add in vanilla extract and heavy cream. 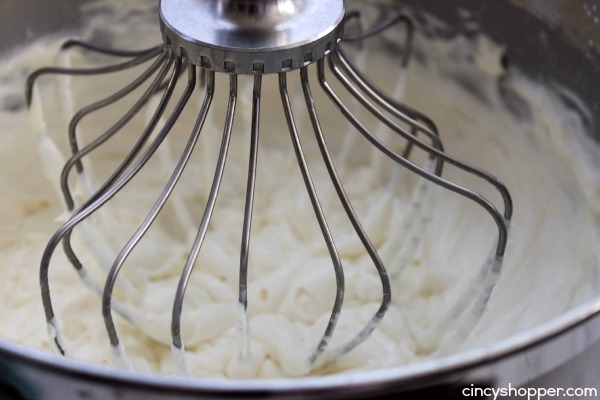 Whisk on high speed until soft peaks form. Spread half of this mixture into a loaf pan. Spoon cherry filling over the whipped mixture. Top with remaining cream mixture, spreading evenly. 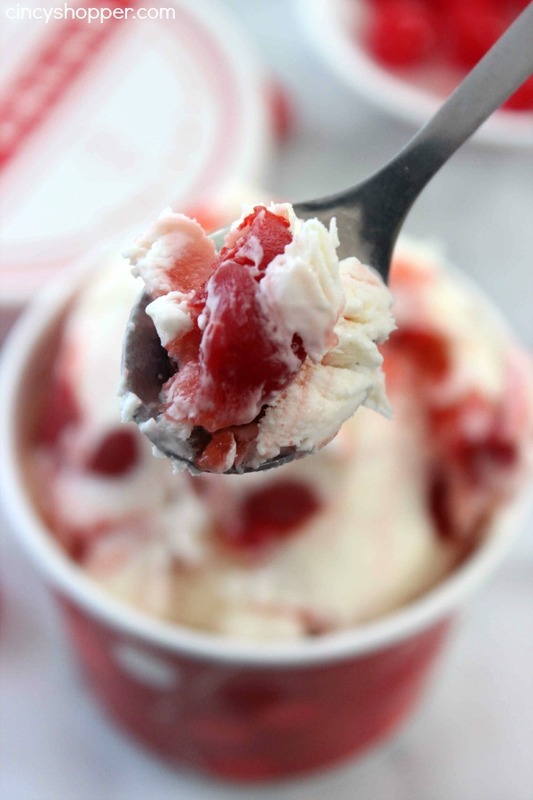 Using a knife, drag or swirl the cherry mixture into the cream mixture. 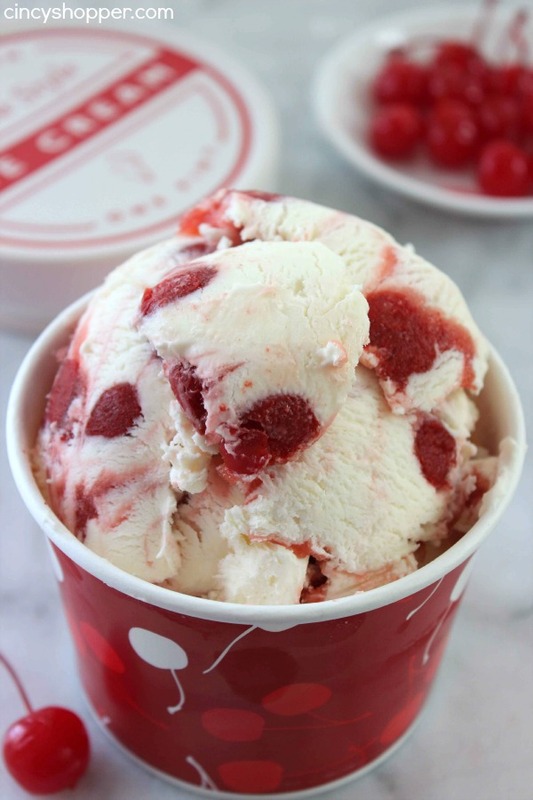 Thanks so much for sharing your awesome Cherry Cheesecake Ice Cream with Full Plate Thursday, hope to see you again soon! Pray tell when and where do you use the sugar I re read the direction twice and no where does it say add sugar and whisk.